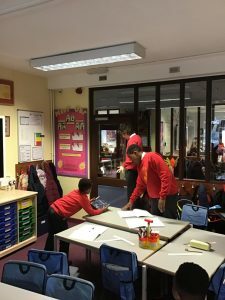 Last week, Cathedral School celebrated Science Week. On Monday we visited the Planetarium and learnt about the stars in our galaxy. In English, we wrote myths about the origin of these impressive constellations. In Science, we conducted an experiment to see if we could make a paper helicopter go faster by changing the width of the blades, adding weight, or altering the size. It was a lot of fun and we have definitely improved our measuring skills! We also had visitors who came in to talk to us about Artificial Intelligence and Engineering in Science. We learnt so much and it was a fantastic opportunity to learn about how Science is used in everyday life. 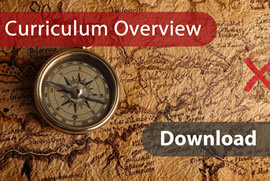 Finally, for homework we produced posters about different types of journeys. They are very impressive and show lots of super Scientific knowledge. 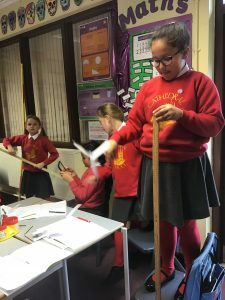 Well done Year 5 – please comment below and let me know what your favourite part of Science week was. My favourite part of science week was making paper helicopters and trying to find out how to make it land on the floor faster. My favorite part in science week is the planetarium. This is because I learnt a lot in the planetarium like the star constellations and I learnt about some stars (which is way bigger than the sun). It was also a great, enjoyable experience. My favourite activity was the planetarium, I really enjoyed it! My favourite part of science week was definitely the planetarium. I love space and astronomy! It reminded me about my interest in space. It was really hard to decide between the planetarium and poster. I really like art, so, this was one of my favourites out of everything. My favourite part of science week was going in the planetarium because it really helped my learning about stars. My favourite part of science week was going into the planetarium because it really helped my learning about stars. my favourite thing in science week is when we did the planeterium because it taught me alot about space and constellations like the orion and the bulls eyes. 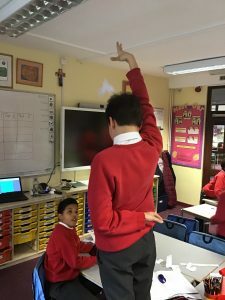 My favourite thing I did in Sience Week was writing our interesting myths about constellations and how they were created, I also really enjoyed making paper helicoptors and making them go faster and slower, it was really fun to work together with my friends. Sience Week was SOOOOO FUN! My favourite thing about science week was,that we went to the planeteriem .Also ,I very much enjoyed doing the science posters about journeys.Going back to the planeteriem we learnt about orions belt and how the stars in the sky represent something. My favourite part of science week was making the helicopters and the planetarium! My favourite thing about science week was,that we went to the planeteriem and got to see all the stars ,plonets ang moons and I also liked lisaning to the astronima. My favourite part of British Science Week 2019 was when we created our posters. I like how all my other classmates had a different style to their project and how it makes each and every one of us unique. Even though I missed the Planetarium, my friends told me that it was really fun and cool! I also really enjoyed hearing and seeing what adults do that relates to science it was so interesting! My favourite part of Science Week was the helicopters. It was they exciting seeing how it spun in the air. Also I really loved the plantain. The way they displayed it was amazing. I learnt about new stars! I hope next Science Week can be better! I do miss Mr Wizz. Fun Fact: The Sun is tiny! 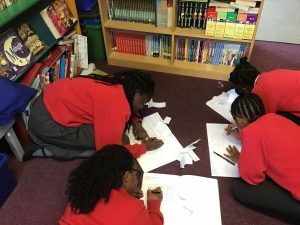 My favourite part about Science Week was the Myth Writing. It was especially fun as I love story-writing and the myths we read were really interesting. (I wasn’t able to see the planetarium)My favourite part of science week was making the “helicopters” it was very enjoyable and the experiment was educational. 🙂 I ENJOYED THE WHOLE EXPERIENCE ALL TOGETHER! 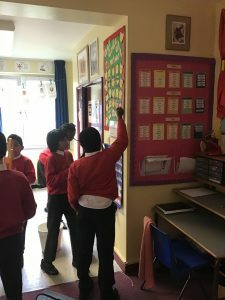 My favourite part of British Science Week 2019 was when we created our posters. It was fun to see my classmates posters and see what their view of a poster is! Even though I missed the Planetarium, my friends said that it was so fun and cool! I also really enjoyed seeing other adult’s jobs it was intruiging and interesting! My favourite part of science week was when we went to the planatarium because I learnt about the constellation of different stars and some new stars that I’ve never learnt about for example Betelgeuse I did not even no if that was a word or either orians belt. My favourite part of British Science Week was the planetarium because I learnt a lot about the many star constellation out into the depths of the unknown space. I learnt about The Constellation of Orion and many more. I have really enjoyed British Science Week 2019! 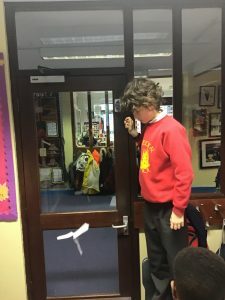 My favourite part of British Science Week was the helicopter experiment we did in a Science lesson in class. I particularly enjoyed this because we were able to experiment and alter the things we put on the helicopters. For example, adding more paperclips to the helicopter would increase the weight of the helicopter, so it will fall faster. The larger helicopter came down to touch the ground with the slowest time due to the area of it. The wider area increased the level of up-thrust pushing up against the gravitational force, making it go slower. I have really enjoyed British Science Week 2019! My favourite part of British Science Week was creating my poster for the British Science Week Poster Competition. As the theme for 2019 was ‘Journeys’ we were required to create a poster based on journeys. It could have been done on A3 or A4 paper. I have especially liked this particular activity because it extended my creativity skills and it was a very fun time creating my poster. I have really enjoyed British Science Week 2019! My favourite part of science week was doing the poster competition. I enjoyed this task because it allowed me to be creative and discover new things. For example, I did not know that electricity was made in a power plant. I also enjoyed using different types of materials for my poster. Did you know that there are stars in this galaxy that are bigger then the sun .stars are actually the same size as the sun but the sun is closer to us. I love science it is one of my favourite subjects in school. I really enjoyed science! My favourite part of it was when we went to the planetarium and when we were doing our experiment on the paper helicopters. The planetarium was soo fun because we got to learn about our solo system. I also really enjoyed it because we got to go inside a HUGE BALL of air! when I was going inside it I had to squeeze in and my hair also got stuck but it was really fun. I also really enjoyed doing our experiment on the paper helicopters. We got to choose groups or partners to do this with my partners were amazing because we all got turns to drop the paper helicopters. It was so COOL to watch it go down to the floor if you was standing on a chair- which we got to do how AMAZING IT THAT!!!!! Science week was so fun and I hope it can be this fun next time.